The Federal University of Technology Akure (FUTA) is ranked as one of the best federal universities in Nigeria. The location of this school is at Akure, in Ondo state, Nigeria. 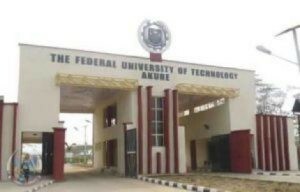 Popularly known as Federal University of Technology Akure, FUTA was established by the federal government in 1981 to provide quality education to science students through comprehensive practical and theoretical knowledge of technologies. This tertiary institution has dully 40 accredited departments that is grouped into seven faculties. An achievement of this citadel of learning is that they have produced first class graduates in technology that are currently top stake holders in that sector. FUTA is currently an affiliate member of the Association of Commonwealth Universities, and has been dully accredited by the National Universities’ Commission, NUC. Other federal technological institutions in the country that were established in other parts of Nigeria as FUTA includes the Federal University of Technology Owerri (FUTO), Federal University of Agriculture, Abeokuta (UNAAB, formerly known as the Federal University of Technology, Abeokuta (FUTAB), the Federal University of Technology Minna, the Federal University of Technology Yola , and the Federal University of Technology Bauchi (now Abubakar Tafawa Balewa University, Bauchi). Currently, FUTA runs short-term courses, pre-degree science programs and University Advanced Basic Science programs respectively. Candidate must have a minimum of five O’level credit passes in relevant subjects for department he or she is applying for admission into. The minimum cut off mark for UTME in FUTA is 200 as proscribed by JAMB. Since the school admits via UTME and Direct Entry, candidates must have satisfactory scores to enter the academic institution. 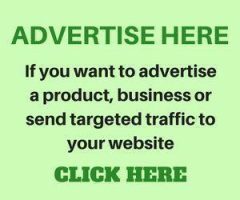 If you are a prospective candidate that really want to join FUTA, you must choose the university as your first choice when registering your JAMB form online. Every year, the school opens their admission registration portal for prospective students who wish to join the school. If you are seeking admission in FUTA, you should purchase the form from the various designated bank selling it, and fill it. There is also some basic registration and authentication processes on the school portal you are to fill for the schools’ post-UTME. If you pass the requirements, you would be shortlisted for the post-UME and if you pass the cut-off mark, results are pasted online and prospective students are admitted to the departments of their choice. Put in your JAMB Registration Number in the space provided. Proceed by clicking the “Submit” button on your screen to check your admission status. The portal was created for all queries related to registration, making various payments, and other basic information about the school. To access the FUTA portal, visit the school official website at www.futa.edu.ng. For post graduate students, their website is different from that of the regular student. 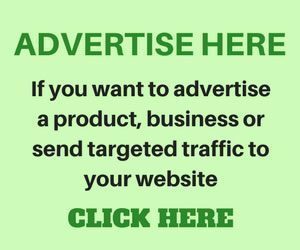 Visit the FUTA post-graduate website at http://portal.spgs.futa.edu.ng.